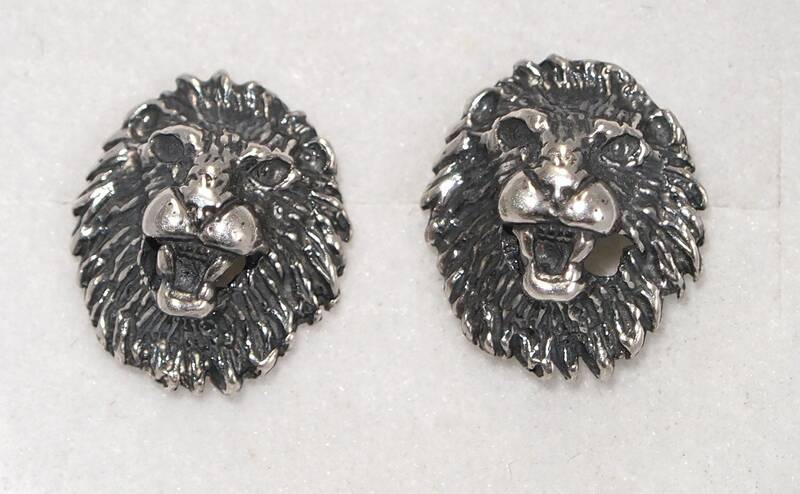 These sterling silver lion earrings are from a collection of master designs I got from a retiring jeweller here in Montreal. They are 0.8cm wide and 1cm high with an earring post in the back. They are small enough to wear in secondary ear hole or be center stage! The original design dates from the 40's-50's, but I made a new mold and started making them in silver to introduce to a younger audience! these lions are simple, but classic. Picked these up for a friend. I wish I had bought these for me. Perfect! Exactly what I was looking for, great craftsmanship. Item arrived sooner than expected, thank you.